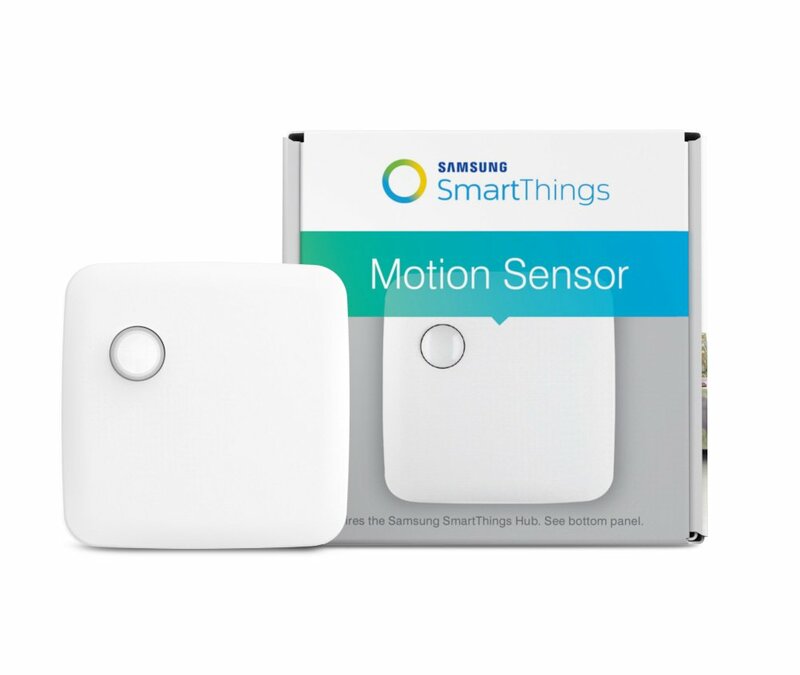 Having acquired the Samsung SmartThings Hub I began learning about its capabilities and ideas for applications in my home began to emerge. When Samsung put a bunch of its devices on sale, I decided to get these three sensors. Two of them were redeployed after the initial installation for different reasons. My initial idea was to place this in a window looking out into our courtyard to detect someone (mostly delivery people) coming to the front door. It turned out that it was not able to detect motion through the glass. I put it aside for a while. I next tried it in our garage. We had a hardwired motion sensor light switch there since we had moved in. It was connected to two large fluorescent fixtures, but the maximum delay before the switch would turn the lights off was a sometimes problem. We have a rack with excess dry food and cleaning supplies. If just entering to get something, it was okay. But if you took too long, you got stuck in the dark and had to walk back waving your hands – annoying. 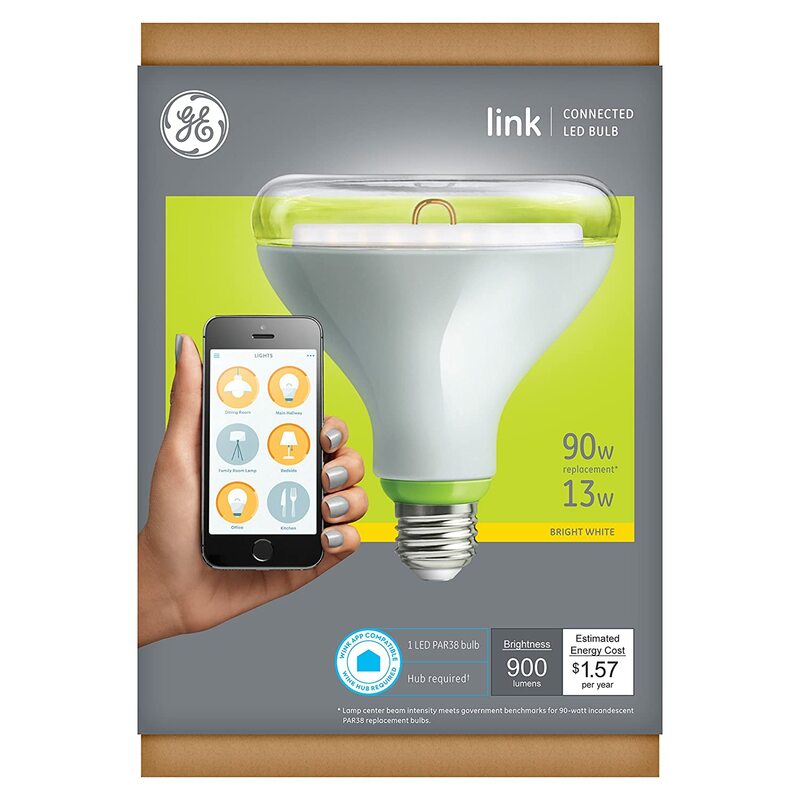 So I put the SmartThings motion detector on the rack and got a cheap lamp fixture and a WiFi flood lamp bulb. The fixture sat on top of a second refrigerator next to the rack. 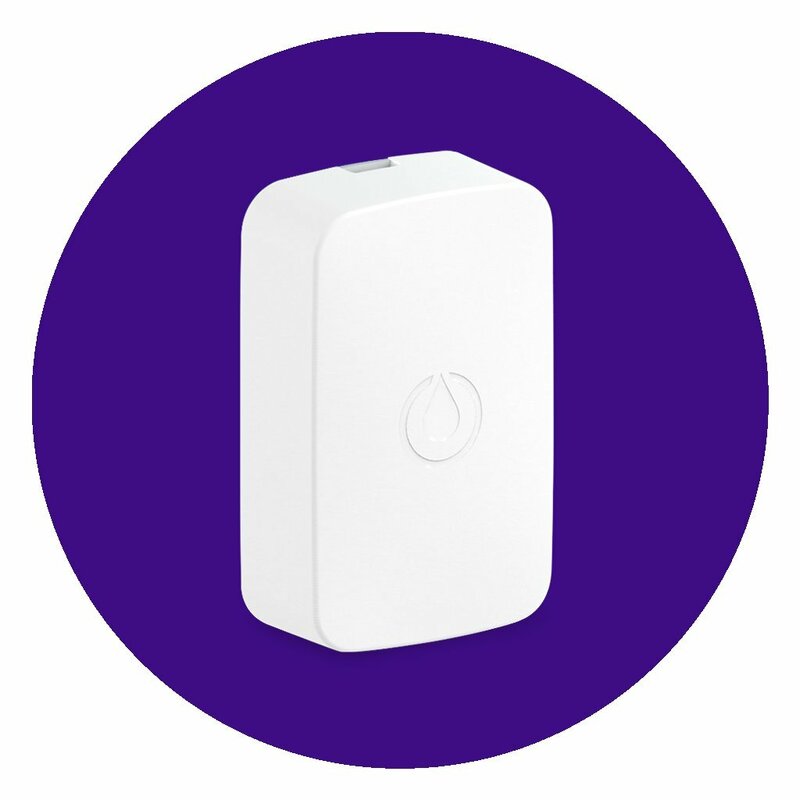 Using a standard SmartThings SmartApp, the WiFi flood lamp bulb would turn on when a motion was detected and would turn off after five minutes. Sometime later the motion detector was redeployed again in conjunction with the multipurpose sensor (see story on it below). The cheap lamp fixture and WiFi flood lamp bulb were relocated to a workbench. We had typical water leak sensors under all our sinks. Considering that we spent a fair amount of time away when traveling, and our community’s maintenance operation had put articles in our community paper warning about the potential impact of water leak damage, I felt replacing the existing devices (actually we now use them in our vacation home) with smart ones that will send an alter as soon as water is detected would be a good investment. If I get an alert while we are gone I can arrange for someone to go to our house to address the problem. I got one extra to put under our washing machine (it is fairly old). A day or two after installing them I got an alert! The hot water recirculation system mentioned in the first story included a plumbing device (called a manifold) installed under the sink closest to the shower. When I installed the sensor it had been dry, but now it was wet! I called the plumbing company that had installed the recirculation system. The technician could not find the leak. I put a bowl under the sink and checked it every day. The leak was very intermittent. Several months later I had the plumbing company back as the leak had become more pronounced and the problem got fixed (at least it has held for a year or so now). I got this device because of its garage door mode. There were a few situations where I wanted to know if the door had been left open. There had been some occasions when we drove away thinking we had closed the garage door but returned to find it open. We also have small control units for the door. I carry one in my pocket and once in a while would accidentally activate it and find the door open in the morning. My wife keeps gardening tools in there and frequently would leave it open after working in the garden areas. This worked okay, but I was aware of devices that would not only alert you when the door was opened or closed, or report on the status, but also close or open it, and for those times when we drove off with it open, being able to close it without having to return home was desirable. 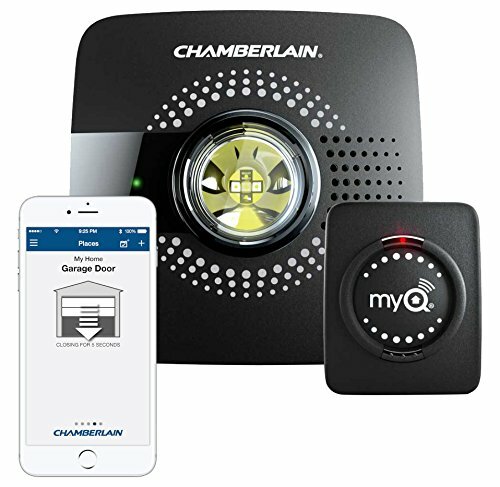 So after some research, I decided to get the MyQ Smart Garage Door Opener because it is from the same company that makes our garage door opener (although it supports many different brands), and it was considerably less costly than the alternatives. This is the current upgraded model, not the one I bought which is no longer being sold. Bear in mind that one of the components is a hub that connects to your router! The other one replaces the existing wall mounted control inside the garage. Buying it was also a lesson in the changing Amazon experience. Until then I was confident about the sellers of products I was purchasing on Amazon, assuming that they were vetted, as opposed to taking chances on eBay. This time I bought the product from a vendor with a considerably lower price than normal (there were others with similarly low prices) and a long delivery lead time. When the product did not arrive I contacted Amazon and got a refund. The seller is gone. I then ordered from a more established vendor, paying more of course. Since then I’ve had a few issues with purchases on both platforms but have gotten a satisfactory resolution in each case. When I decided to upgrade this application I also decided to redeploy the multipurpose sensor to replace the motion sensor, using it as an open/close sensor on the door that connects the house to the garage. 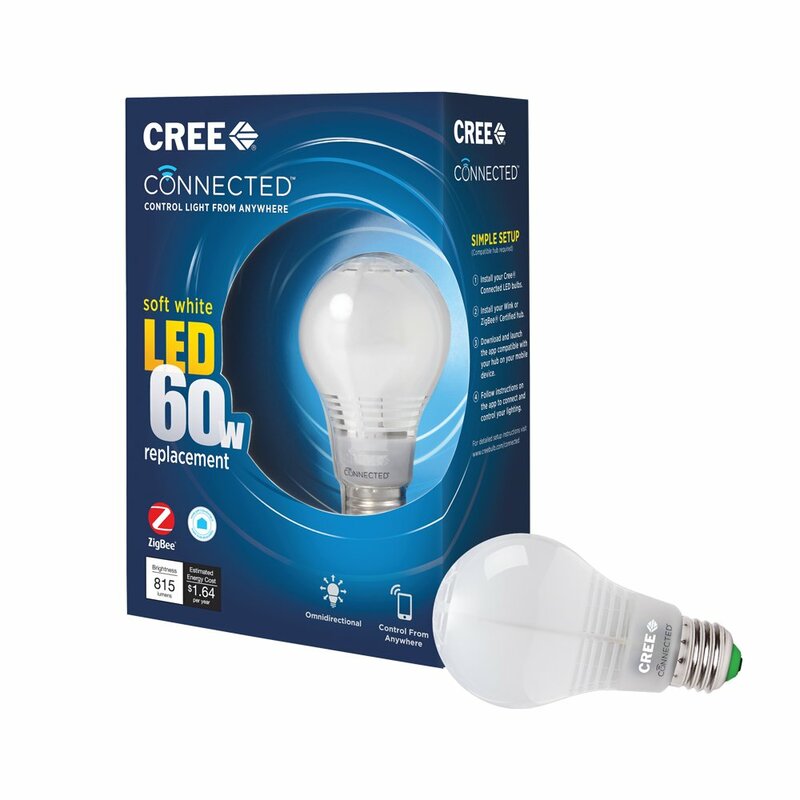 I also removed the cheap lamp fixture and WiFi flood lamp bulb replacing it with a plug-in fixture holding two LED flood bulbs and got another Zigbee outlet. 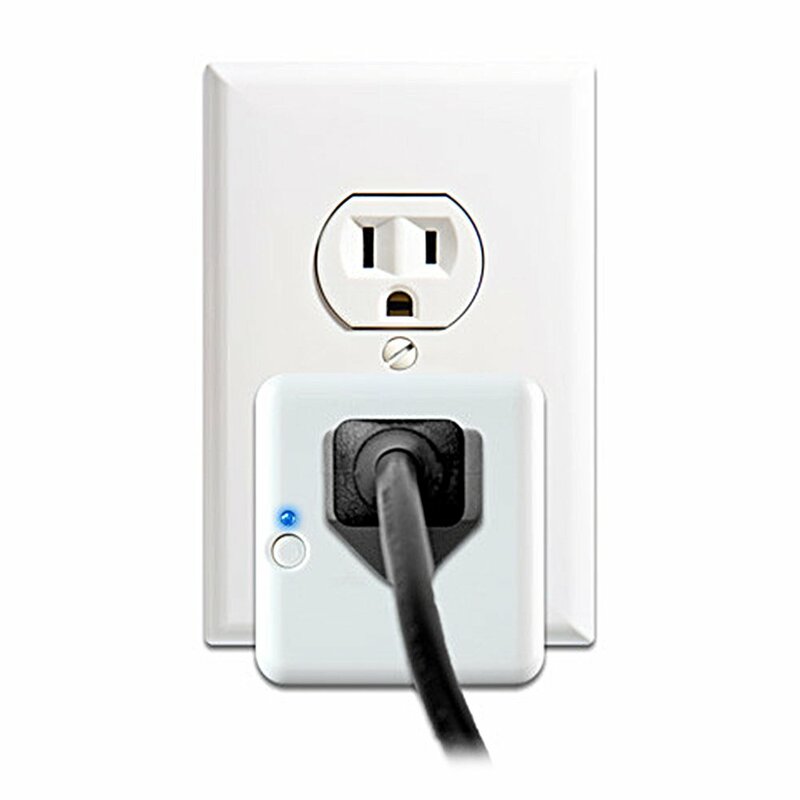 So now when the door is opened the outlet is switched on and it is switched off five minutes after the door is closed. Additionally, I redeployed the motion sensor for use with an overhead light in our bedroom closet. Another application for smoothing our relationship. It too turns the blub on when motion is sensed and turns it off five minutes after no motion is detected.